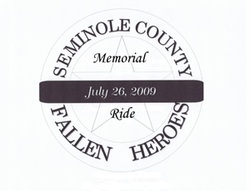 The Seminole County Sheriff's Department and the Seminole County Fallen Heroes Memorial would like to dedicate this page to the families and friends of those who have fallen while serving with the law enforcement community in Seminole County. We would like for this to be a reminder that anyone who puts on a uniform, whether they are a city police officer, county sheriff's officer, state trooper, Lighthorse, firefighter, emt/paramedic, guard, or military personnel, all do so with the clear knowledge that they might never return to their home and loved ones at the end of the shift. Yet, they go willingly and are proud of the fact that they are serving their home and country. We would like to recognize the Fallen Heroes who chose to risk their lives to serve and protect the citizens of Seminole County, Oklahoma. On Wednesday evening August 16, 1933, Constable Cox and Deputy Constable Andrew Stephens were attempting to arrest Wiley Williams at a gas station in Konawa where he had tried to pay for some gas with a bad check. Cox told Williams to get in the police car but Williams drew a gun. Cox grabbed the gun and wrestled for it. Williams fired twice, shooting Cox in the abdomen and Stephens in the foot. Stephens returned fire but Williams escaped until recaptured later that night.. Constable Cox was taken to an Ada hospital where he was operated on for the wound to his bladder but he died about 8 P.M. Cox, 72, had been widowed a month earlier but was survived by five daughters and a son. On Tuesday, March 29, 1927, Deputy Cross stopped a car three miles south of Seminole on the highway between Seminole and Wewoka. Unknown to Cross the three men in the car were wanted for an armed robbery they committed the night before. During the traffic stop one of the men in the car shot the deputy twice in the stomach. The men then drove off and Deputy Cross was taken to a hospital in Shawnee. The three men were all in custody by the next day. Deputy Cross died a few hours after identifying one of the men, Bill Jones, as the man who shot him, from his hospital bed. On Saturday, November 1, 1913, a posse of Seminole County officers, including Deputy Dennis, proceeded to a farm a little over four miles south of Seminole to arrest John Cudjo, who was wanted for the murder of a McIntosh County man a year earlier. The deputies found a man setting on the front porch of the farmhouse. When Deputy Dennis approached the man to learn his identity the man shot him in the hip. Both major arteries in his leg were severed and Deputy Dennis, 42, bled to death. Despite a gun battle with the other officers, Cudjo escaped. Three days later on November 4th, Cudjo was involved in another shootout with officers in a cornfield near Holdenville and wounded two deputies before being wounded himself and arrested. About 8 P.M. that night, a mob of about 150 men broke Cudjo out of the jail in Seminole. He was summarily hanged from a telephone pole in front of the courthouse. Before he could be cut down, the mob had fired more than 100 shots into his body. Deputy Dennis left behind a wife, three daughters and five sons. About 4 A.M. the morning of Saturday, July 27, 1912, a group of five Seminole County deputies were concealed in the woods on the Little River near Sasakwa attempting to catch bootleggers. They had a rope stretched across the road to halt traffic when two black men in a buggy came down the road. When the horses hit the rope, they stopped abruptly, throwing the two men out of the buggy. A gunfight ensued and Deputy Knight was killed by a shotgun blast. The suspects, Sancho Barkus and Martin Davis, escaped but were later located. Barkus died of wounds received in a shootout with Deputy D. A. Marlow when he attempted to arrest him. Davis was arrested in St. Louis, Missouri, returned to Seminole and convicted of Deputy Knight’s death. Deputy Knight was survived by his wife and two children. About 12:30 A.M. on Saturday, October 1, 1927, Deputy Majors and Deputy Jim Villines had tracked some jail escapees to a rooming house in Wilsonville. Deputy Majors went to the front door while Deputy Villines went to the back. Upon finding the back door locked Deputy Villines returned to the front door and observed Deputy Majors fighting with one of the escapees, Jack Bailey, for control of the Deputies gun. Deputy Villines drew his gun and fired at Bailey but accidentally shot Deputy Majors in the head. Bailey escaped again and Majors died soon after arriving at the hospital. Majors, 40, had been an officer at Citra in Hughes County for 12 years prior to becoming a deputy in Seminole County a few days before his death. His wife Ruth, and 4 children ranging in age from 5 to 12 survived Deputy Majors. Shortly after 5 P.M. on Wednesday, January 10, 1945, Deputy Nicholson, 35, arrested Harlin Broyles, a Missouri State Prison escapee, at Fourth and Broadway in Seminole for attempting to pass a forged check. Broyles resisted arrest, pulled a .32 caliber gun from under his coat and shot the unarmed deputy twice. One of the shots struck the deputy’s heart, killing him almost instantly. Broyles then escaped. Deputy Eric Nicholson was survived by his wife, Esther, and four year old son, Phillip. On February 2nd Broyles was arrested in Waco, Texas after shooting another officer there. Broyles was convicted of Nicholson’s murder and died in Oklahoma’s electric chair on January 30, 1947. David Thomas “Buddy” Palmer was born in February 21, 1870, the seventh of thirteen children born to William Asbury and Alta L. (Barnes) Palmer in Lamar County, Alabama. “Buddy” moved with his wife Saretha Jane (Stanford) and five children from Lamar County, Alabama to Seminole County, Oklahoma in 1916, at the age of 46. He soon became a Deputy Sheriff for Seminole County and was the Constable for the township Punkin Center. His wife died June 6, 1917, two months after their sixth child Denman was born. On Tuesday, January 8, 1929, at about 11 a.m., Palmer, now almost 59 years old, was sent to search for three men who had robbed several oil workers near Maud. Deputy Palmer located the three men about 1:30 p.m. on a road one mile south of Bowleg. He drew his gun and ordered the men to put up their hands. Two complied but the third man opened fire on the Deputy with a .22 caliber, 9 shot revolver. Palmer returned fire before he fell mortally wounded with three gunshots to his neck. Deputy Palmer was survived by his six children Jesse, William, Allen, Tollie, Alpha and Denman. All three men were later arrested. Prentice Reed, the one who actually shot Deputy Palmer, was sentenced to life in prison. Seminole County Deputy Sheriff Robertson also served as the Constable for the small town of Wolf, two miles south of Bowlegs. In the early morning hours of Wednesday, December 11, 1929, Robertson was raiding a gambling game in Wolf. Otis Lackey was acting as a lookout for the game but had left his post when Constable Robertson entered the game. Robertson was standing near the game, amiably telling the players to present themselves in front of the judge the next day, when Lackey returned and saw him. Lackey drew a gun and shot the officer twice in the back. Robertson died several hours later. Seminole County Deputies John Poe and Jim Villines arrested Lackey the next day. Lackey was convicted of murder and sentenced to life in prison. Deputy Robertson was survived by his wife and eight children. On Saturday, June 10, 1911, Deputy Smith had been over in Okfuskee County and was on his way back to Seminole when he was informed of a disturbance at a black ball game three miles northeast of Little. Smith went to where the bunch had been drinking at the ball game and one man flaunted a whiskey bottle in front of Smith. Smith reached for the bottle and the man made a move like he was going to draw his gun. Smith drew his weapon and fired killing the man. The dead man’s brother, Prince Carolina, grabbed Smith and another man, Everett Lincoln, shot Deputy Smith in the back killing him. Prince Carolina was arrested in Jackson, Mississippi in September of 1911. Everett Lincoln was never prosecuted for Smith’s murder. Deputy Riley H. Smith was survived by his wife and two daughters. About 3 P.M. Sunday afternoon, July 26, 2009, the Seminole County Sheriff’s Office received a call to the Holbert home at 503 N. Second Street in Seminole. Mrs. Holbert advised that her 26 year old son Ezekiel Holbert was in her home, she did not want him there and that there was an arrest warrant out for him for “Domestic Abuse” from an incident in February when he tried to choke her. Deputy Sheriff “Chase” Whitebird, Captain Williams and a Seminole Lighthorse officer went to the Holbert home. Deputy Whitebird and Captain Williams went to the front door while the Lighthorse officer went to the back door. As Whitebird and Williams started to enter the front door Ezekiel Holbert open fire on them with a 9mm Kel-Tec rifle, striking Whitebird in the face killing him. Williams was shot once in the front right side by Holbert but was able to run from the house. Williams died on the way to the hospital. A female neighbor across the street from the Holbert home was also struck by a bullet but survived. Holbert surrendered to officers about 7 P.M. after a standoff at the house. Captain Williams had been with the sheriff’s office since 2002 and was survived by his wife, his son Shawn who is also a deputy and three daughters. About 3 P.M. Sunday afternoon, July 26, 2009, the Seminole County Sheriff’s Office received a call to the Holbert home at 503 N. Second Street in Seminole. Mrs. Holbert advised that her 26 year old son Ezekiel Holbert was in her home, she did not want him there and that there was an arrest warrant out for him for “Domestic Abuse” from an incident in February when he tried to choke her. Deputy Sheriff “Chase” Whitebird, Captain Williams and a Seminole Lighthorse officer went to the Holbert home. Deputy Whitebird and Captain Williams went to the front door while the Lighthorse officer went to the back door. As Whitebird and Williams started to enter the front door Ezekiel Holbert open fire on them with a 9mm Kel-Tec rifle, striking Whitebird in the face killing him. Williams was shot once in the front right side by Holbert but was able to run from the house. Williams died on the way to the hospital. A female neighbor across the street from the Holbert home was also struck by a bullet but survived. Holbert surrendered to officers about 7 P.M. after a standoff at the house. Captain Williams had been with the sheriff’s office since 2002 and was survived by his wife, his son Shawn, who is also a deputy and three daughters.